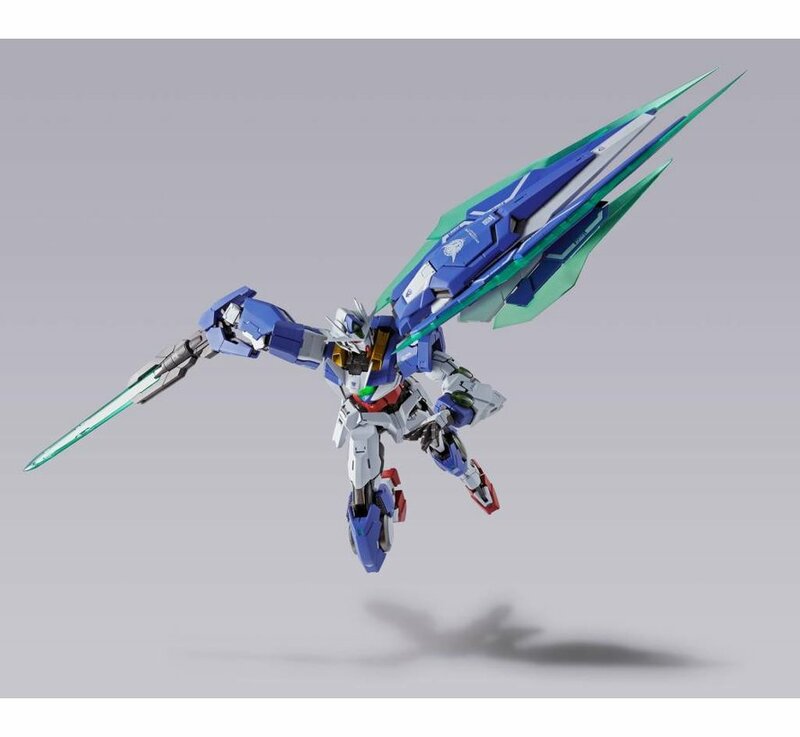 Six years after the first METAL BUILD series release, we enlisted the help of designer Kanetaka Ebikawa to help us realize this 00 QAN[T]. 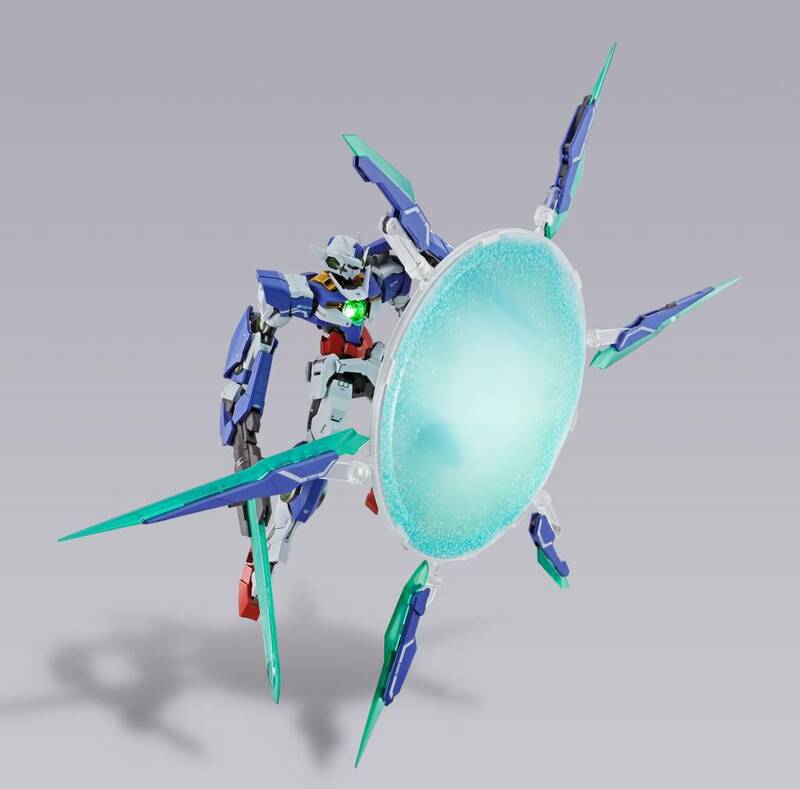 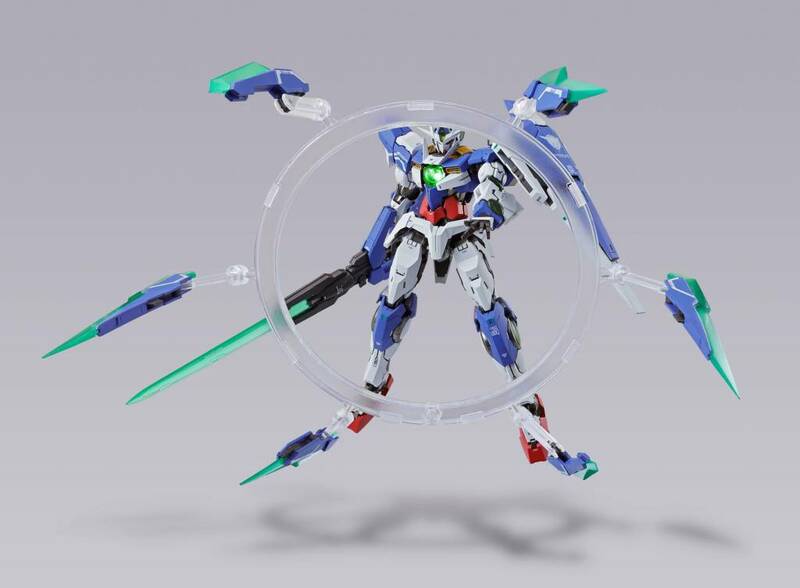 It has 3 types of modes, normal, Quantam Burst and Quantam Burst ‘type regular’. 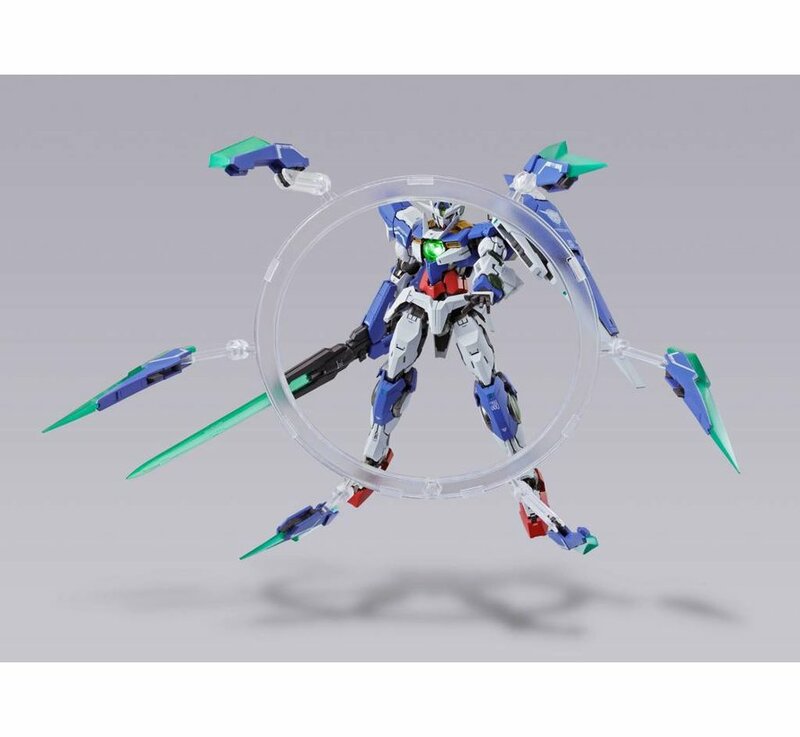 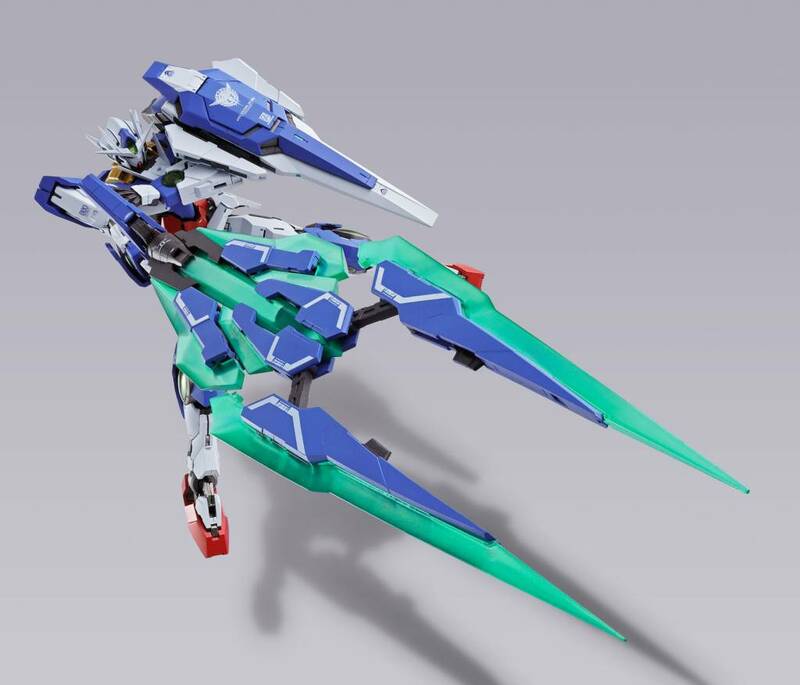 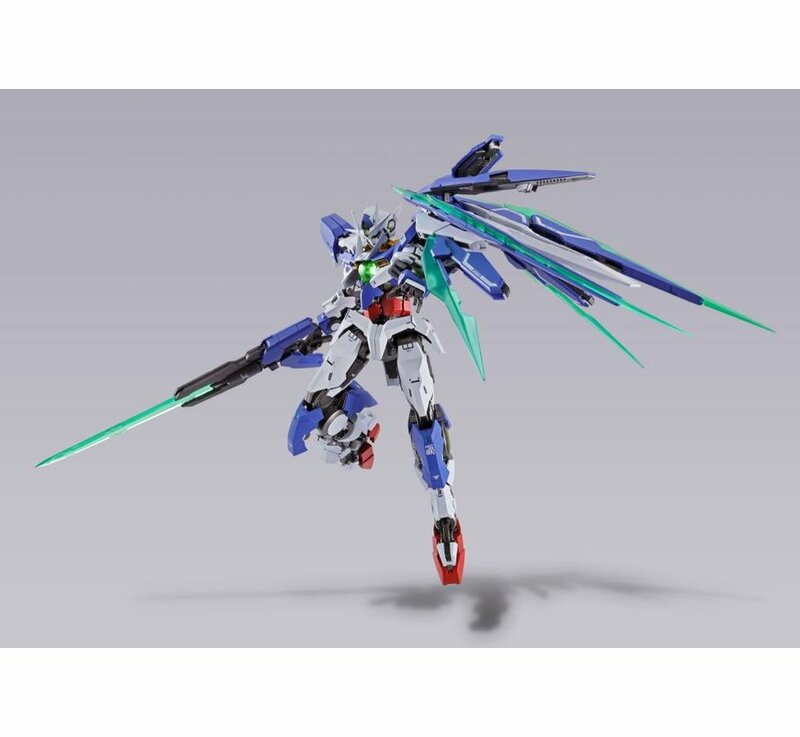 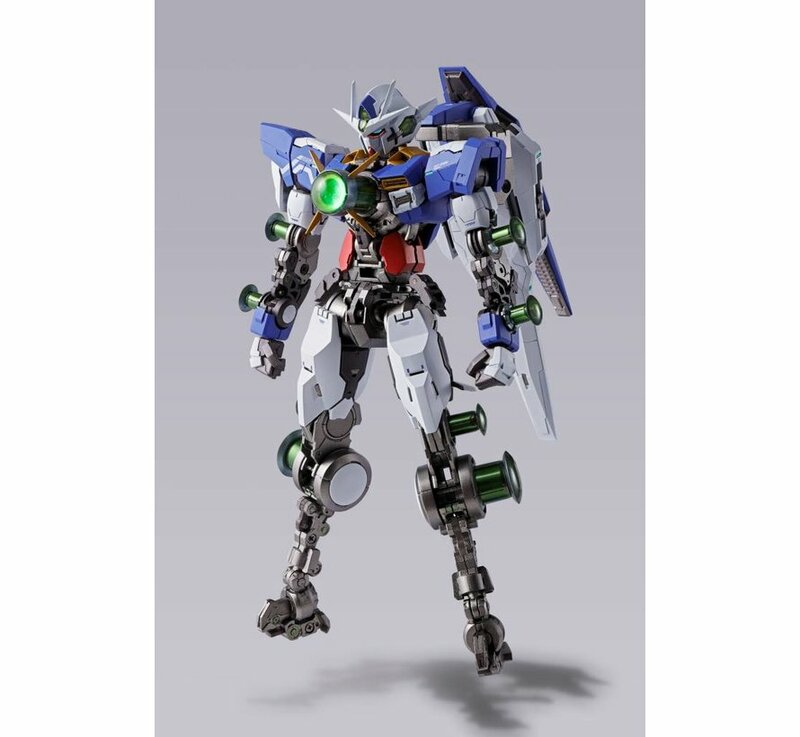 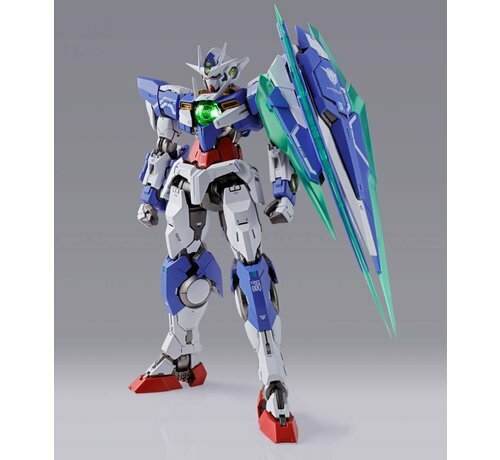 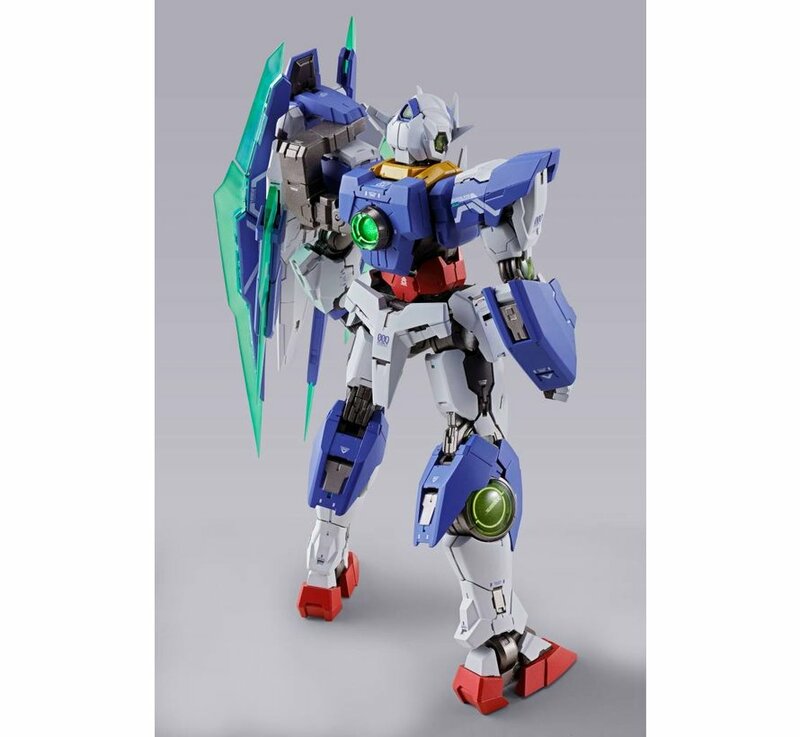 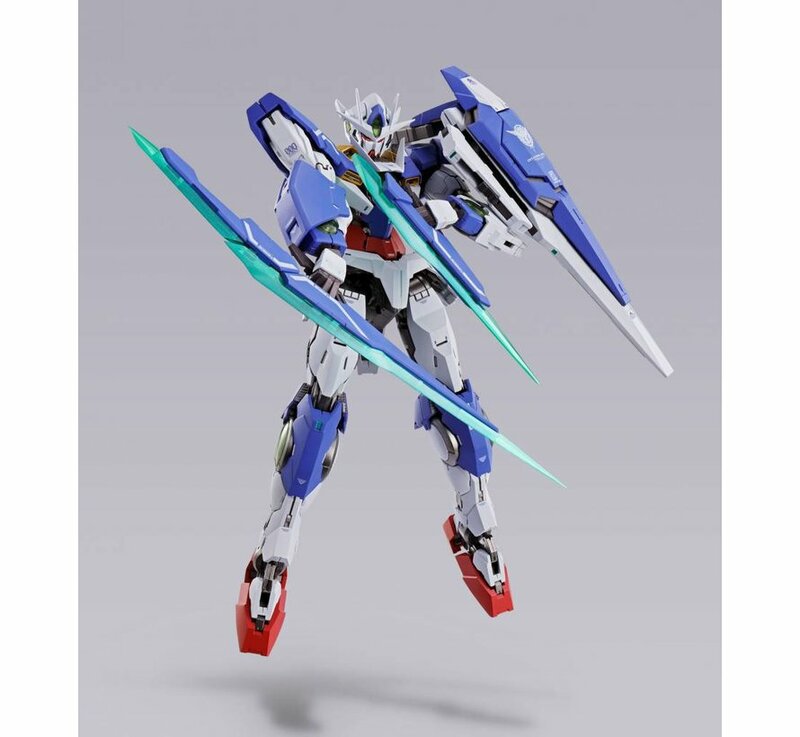 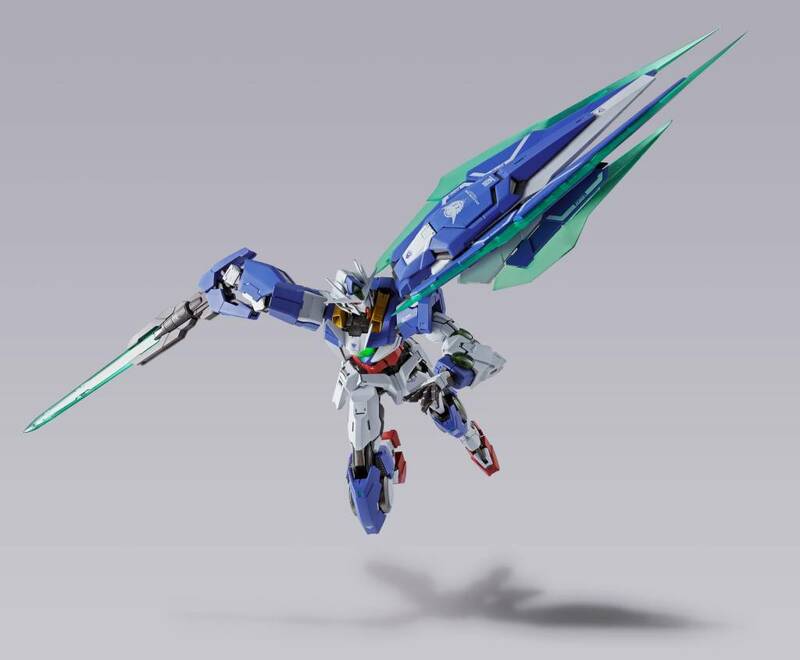 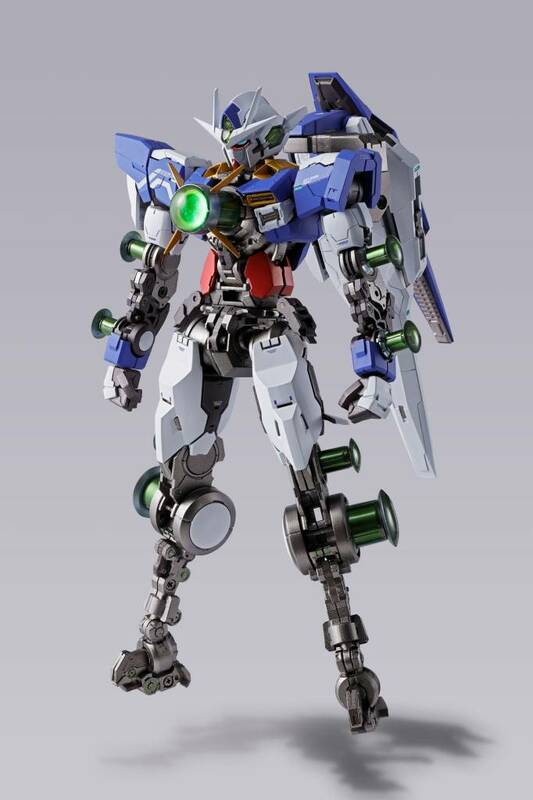 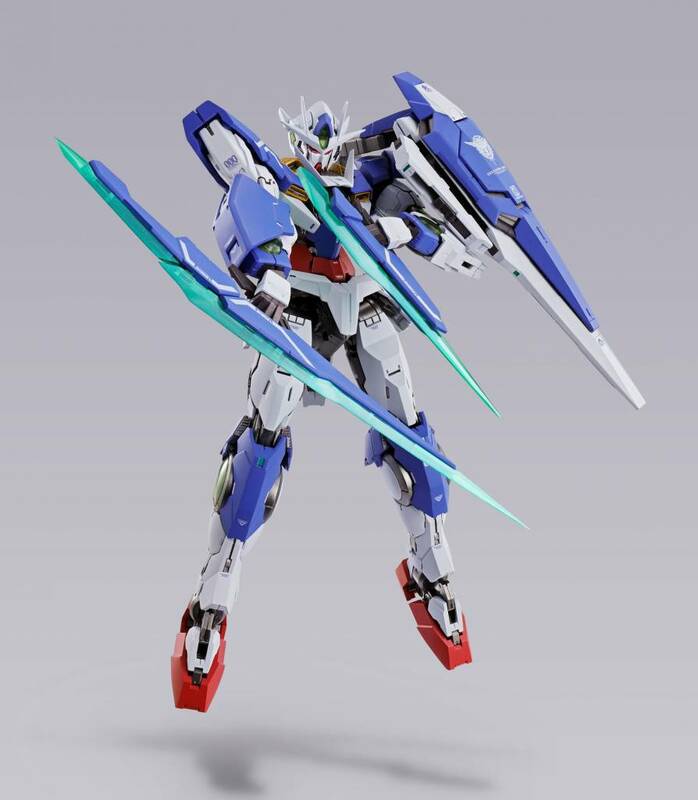 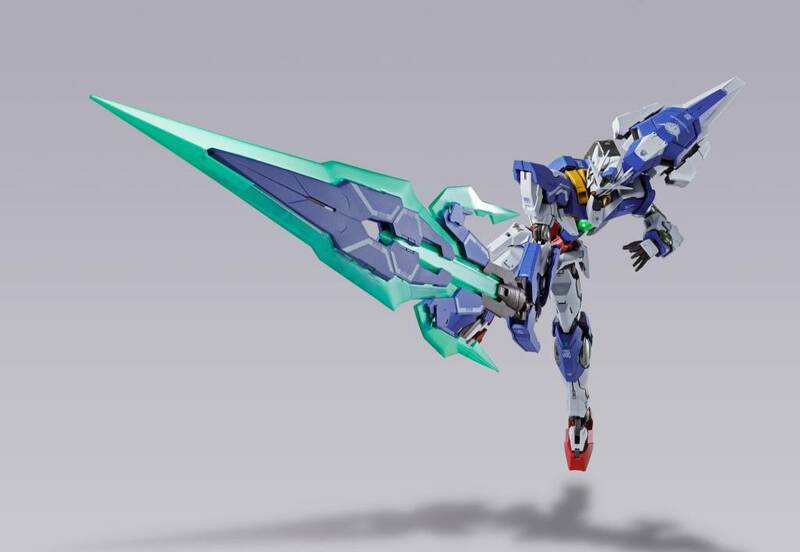 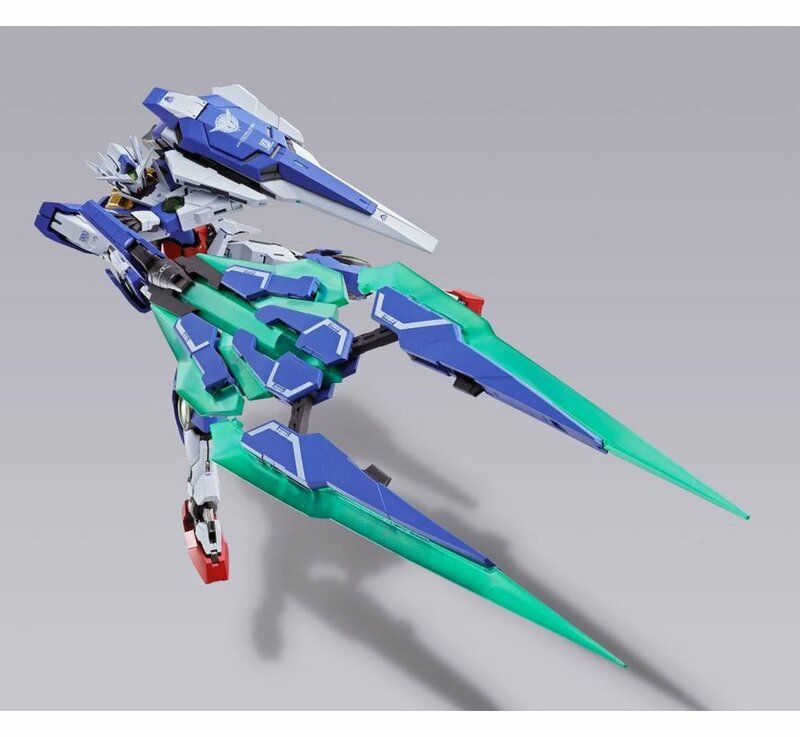 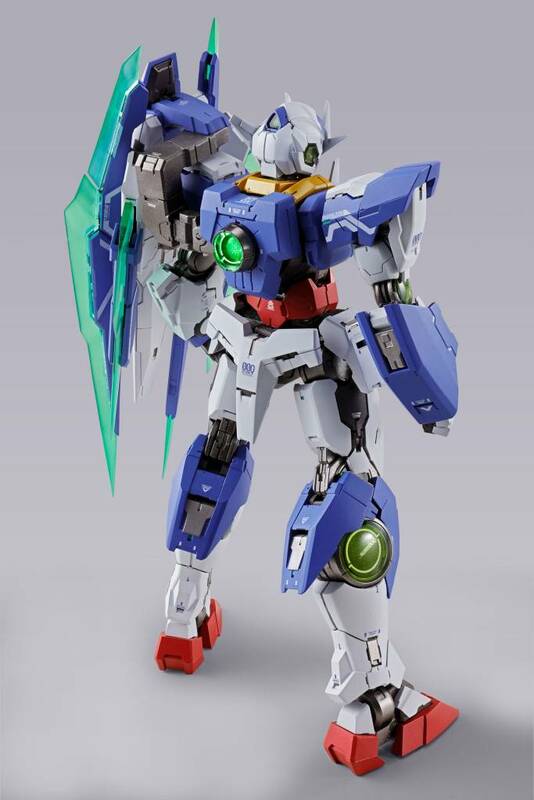 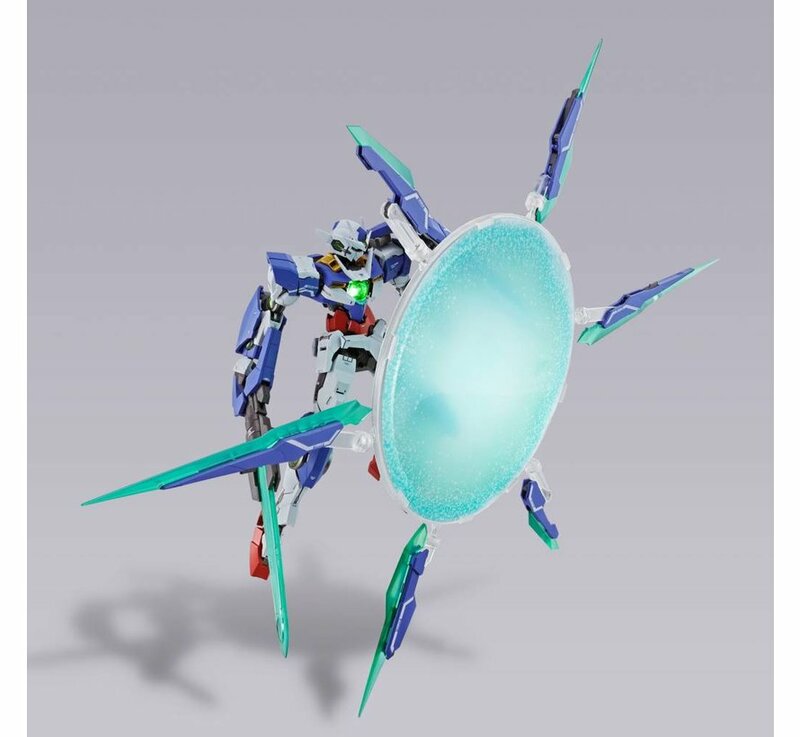 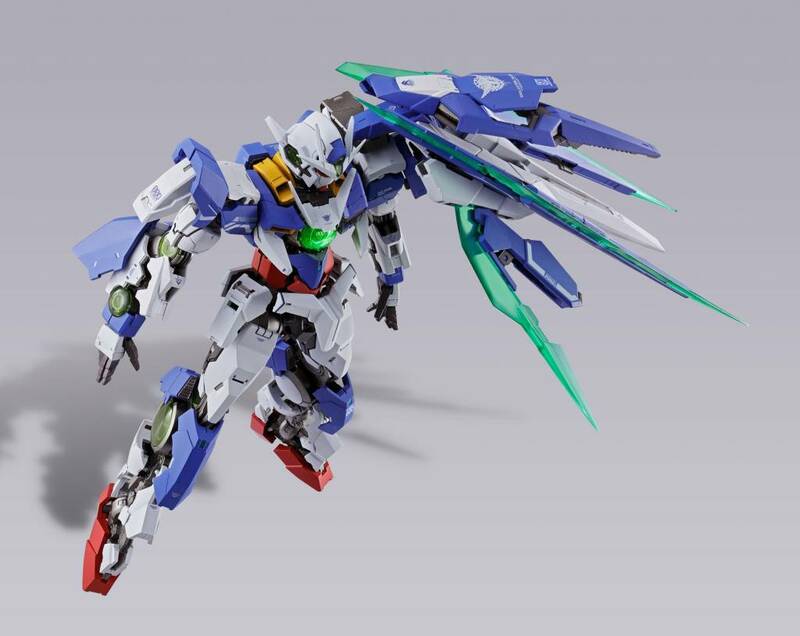 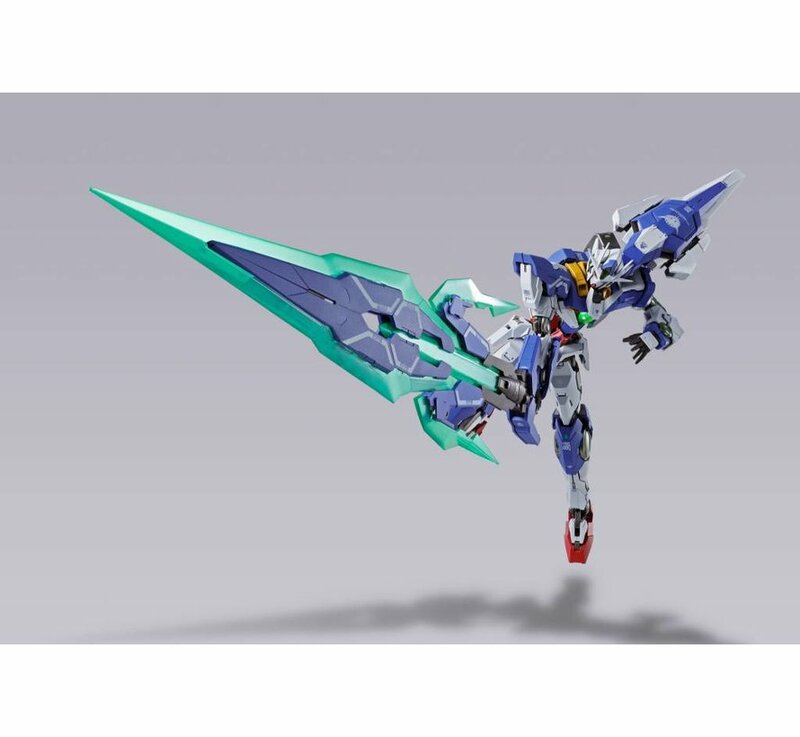 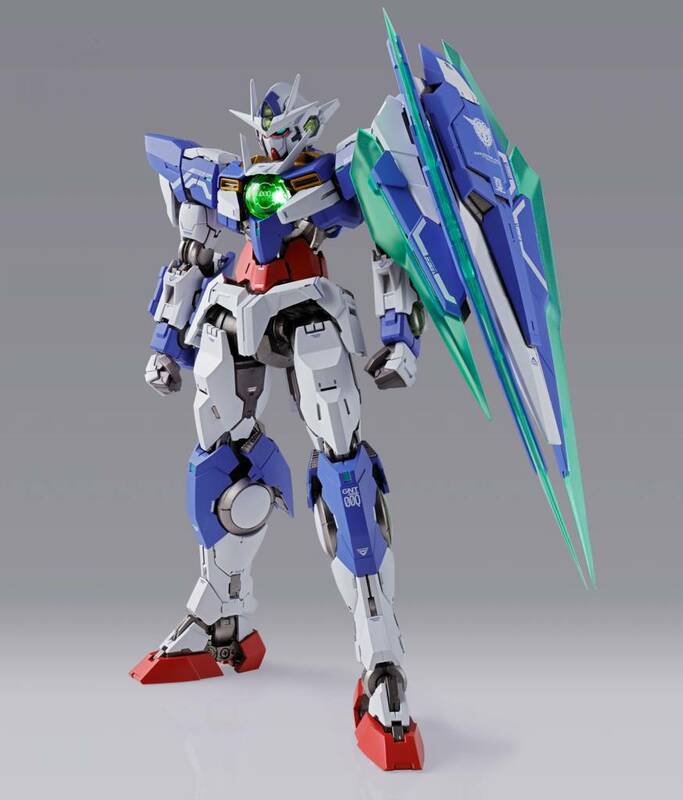 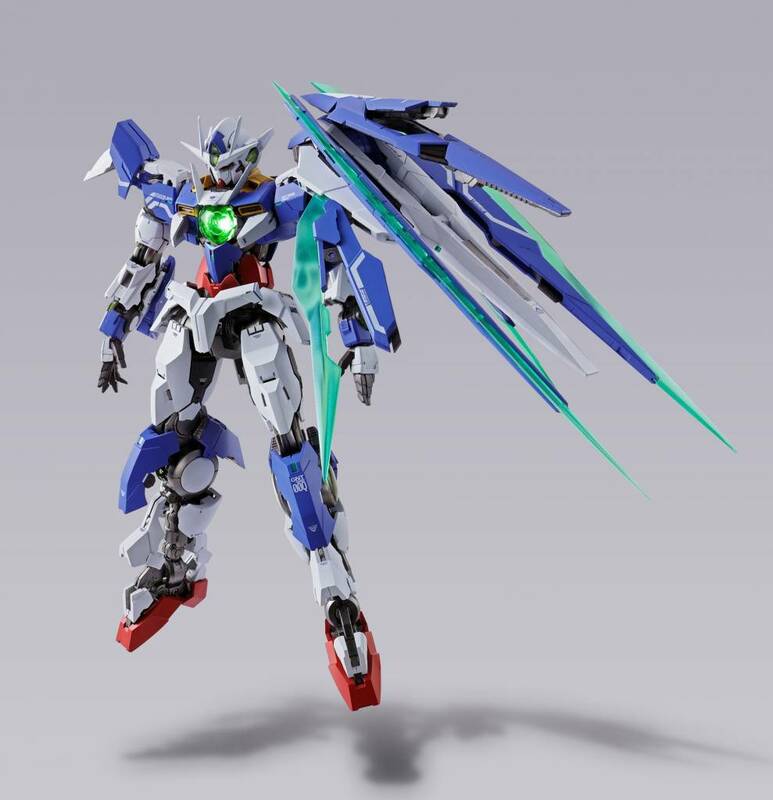 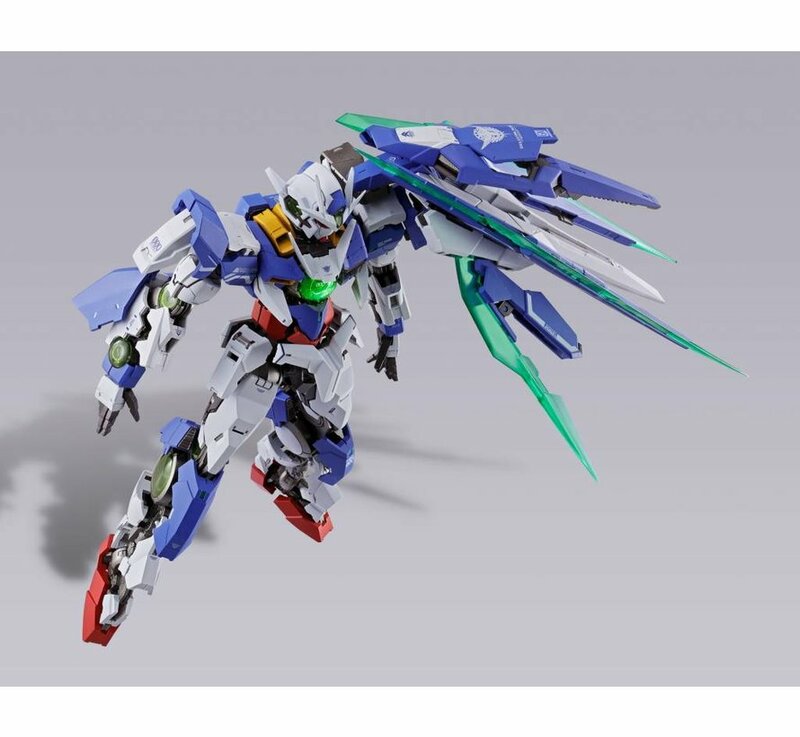 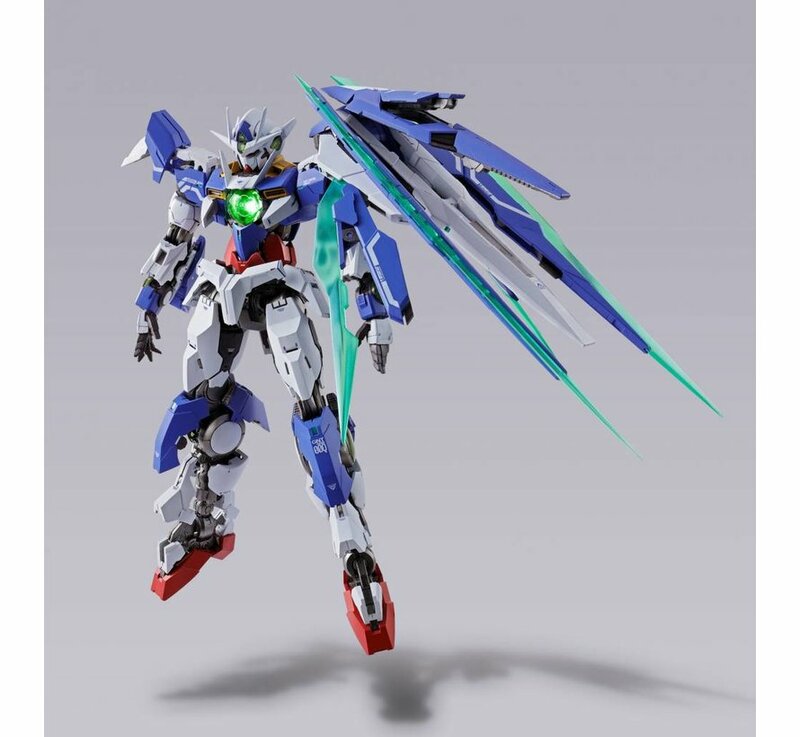 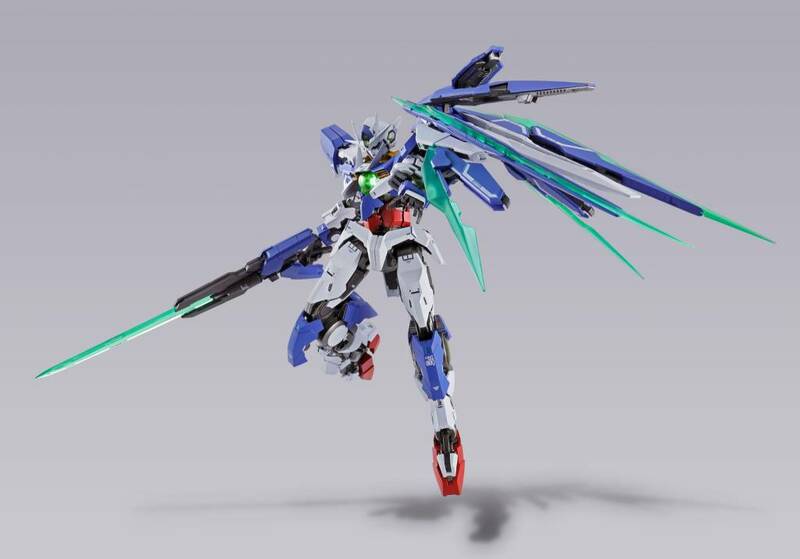 Incredibly detailed and posable, the 180mm diecast and plastic figure includes 4 optional pairs of hands, GN Sword V, 2 GN Sword Bit, exchanging parts set for Quantam Burst mode, GN Sword Bit display ring, one Shield effect part, 2 types of support pole, 3 joint parts of displaying GN Sword Bit, stand, a joint part for displaying, original stand set, and battery box (takes LR41×2, batteries not included).